Han Q,Hsieh Y-T, Meng L, et al. 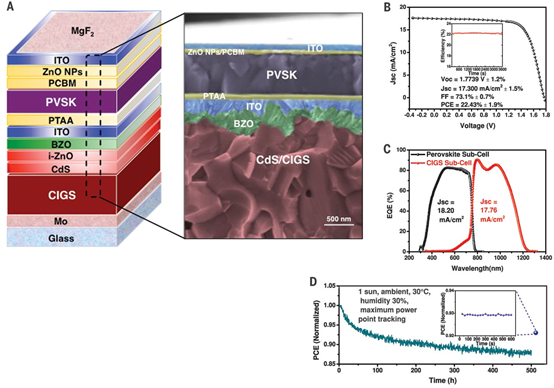 High-performance perovskite/Cu(In,Ga)Se2 monolithic tandem solar cells[J]. Science, 2018. MengL, et al. 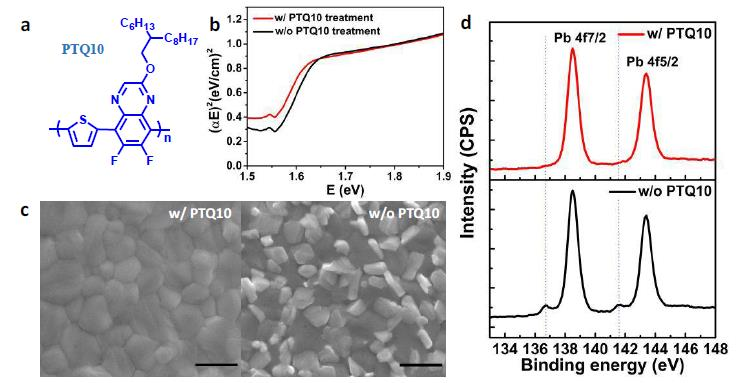 Tailored phase conversion under conjugated polymer enables thermally stable perovskite solar cells with efficiency exceeding 21%[J]. Journal of the American Chemical Society, 2018. LeeJ W, Dai Z, Han T H, et al. 2D perovskite stabilized phase-pure formamidinium perovskite solar cells[J]. Nature Communications, 2018. LeeJ-W, et al. 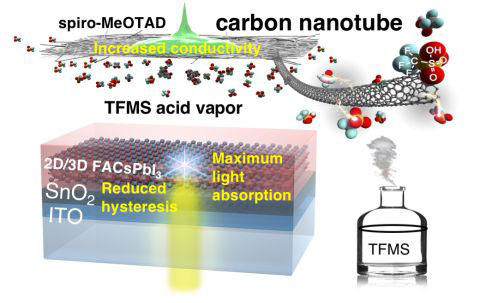 Vapor-Assisted Ex-Situ Doping of Carbon Nanotube towards Efficientand Stable Perovskite Solar Cells[J]. Nano Letters, 2018. 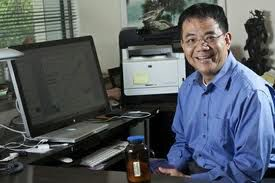 Cheng P,et al. 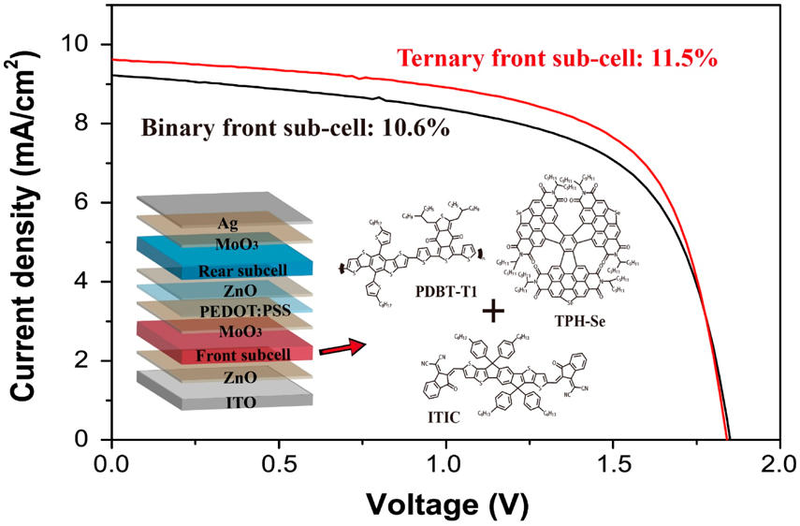 Efficient Tandem Organic Photovoltaics with Tunable Rear Sub-cells[J].Joule, 2018. HuangW, Zhu B, et al. High Mobility Indium Oxide Electron Transport Layer for Efficient Charge Extraction and Optimized Nano-Morphology in Organic Photovoltaics[J]. Nano Letters, 2018. HuangW, et al. 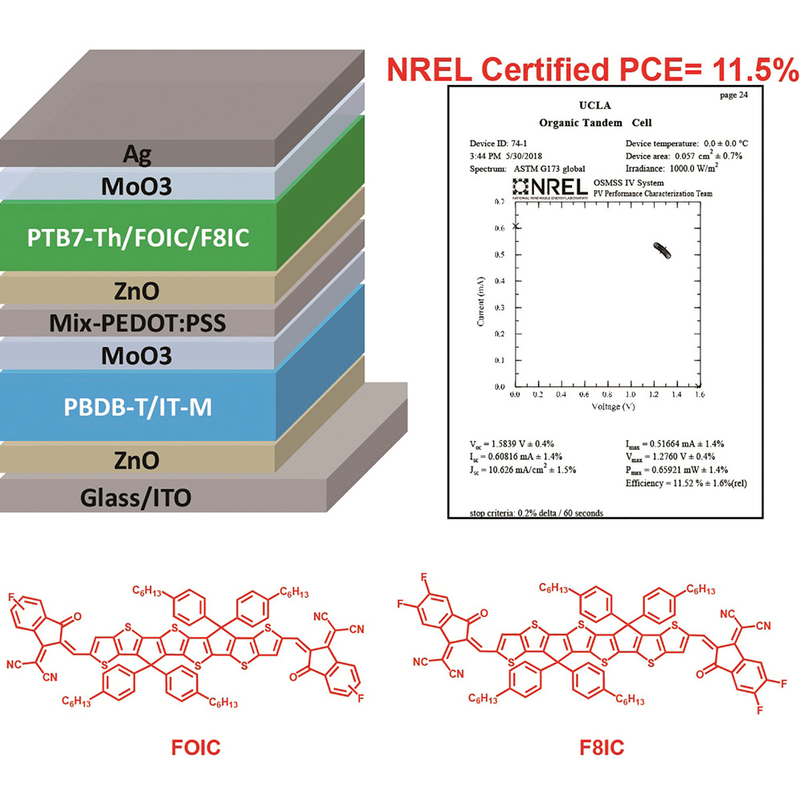 High Efficiency Non-fullerene Organic Tandem Photovoltaics Based onTernary Blend Subcells[J]. Nano Letters, 2018.